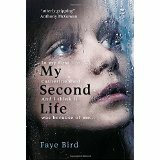 Faye Bird writes for Young Adults, and My Second Life is her debut novel. She studied Philosophy and Literature at Warwick University and was a Literary Agent for TV and Film Scriptwriters before becoming a writer herself. She now lives in London with her husband and their two children. Find Faye on Twitter @faye_bird. ‘The first time I was born, I was Emma. I was beautiful. I had everything to live for. But I died. I was 22.’ Ana struggles to live a normal life, bombarded by memories of her previous life as Emma. The worst memories are of a little girl who tragically drowned: was Emma responsible? Consumed by guilt, Ana will do anything to uncover the past.